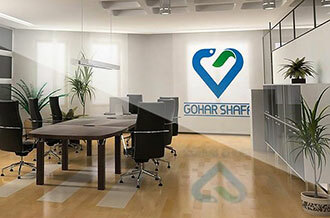 Gohar Shafa thoracic catheters produced with high tech production line, this product has 2 different sizes in each end which eliminate the need of using extra connector to connect to chest drainage unit (CDU). 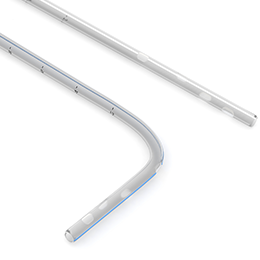 With high tech production line, this product has 2 different sizes in each end Which eliminate the need of using extra connector to connect to chest drainage unit (CDU). With protective sheath which prevent the catheter from possible damages. Ease of connection to other medical equipment due to bevel cut shape at the end of the catheter . Radiopaque line for X-Ray verification of position. Designed and produced in conical shape for ease of discharging of secretions. All the edges are smooth to prevent any damage to the tissues. TWith 4 or 6 (depend on size) jagged-free oval shape punched holes. Improved discharging function due to spiral shape holes along the catheter. This product is graduated along the first 26 Cm after the last hole, and has 4 or 6 (depend on size) oval shape punched holes. Gohar Shafa Chest tubes has been designed and produced in cone shape in distal end so there is no need to use a connector to connect the tubes to chest bottle or any other means. Made of medical grade PVC with radiopaque line for X-ray verification of position. All the edges are smooth to prevent any damages to the tissues. This product is graduated along the first 26 Cm after the last hole, and has 6 oval shape punched holes. Available in flexible and rigid types. Available in infant and adult sizes.